Festival season is always highly anticipated by festival goers who look forward to having a great time. It’s always a very fun, eclectic and joyous celebration where everyone comes together to enjoy good music. However, amidst all the excitement surrounding festivals, it also comes with one major problem. Since the event is always held in an open field location, it also becomes a prime spot for pests. Everyone wants to enjoy at festivals and pests are the last thing you want to worry about. Let’s take a look into the best pest prevention tips you can incorporate to ensure a pest free festival. The specific location of your tent or food stand plays a huge role on how prone you are to becoming bitten by various types of pests. Mosquitoes, wasps, ants, midges and flies are the most common ones found in festivals. It’s important to locate a spot far away from these pests before you set up your goods. Pests usually thrive in small bodies of water such as ponds, rivers and lakes so it’s best to choose a spot as far away as possible from those bodies of water. Biting insects are aplenty during festivals. Using an insect repellent will help you stay protected and keep the pests away from you. While you’re packing for the things you will be bringing for the festival, always remember to bring a good supply of insect repellent. It is highly recommended to apply it regularly throughout the festival. Don’t be afraid to apply a large dosage on your skin especially on exposed parts of your body. Doing this will help prevent mosquitoes from biting you and it will ensure that you wouldn’t have to go through the hassle of constantly scratching your skin. One of the easiest ways to stay away from pests during festivals is by disposing your trash properly. Pests love roaming around trash cans since they contain food waste which they can eat. Similar to bringing an insect repellent, it’s also important to bring trash bin liners. Make sure to clean your tent regularly of any food waste or beverages like empty drink containers to reduce pests in your surrounding area. By limiting the availability of their food source, you will be able to effectively get rid of pests throughout the festival. You definitely don’t want your tent to be invaded by various types of pests just because you didn’t dispose your trash properly. It is a famous annual event held in February and unique to Quebec City, and is the biggest winter festival in the globe. 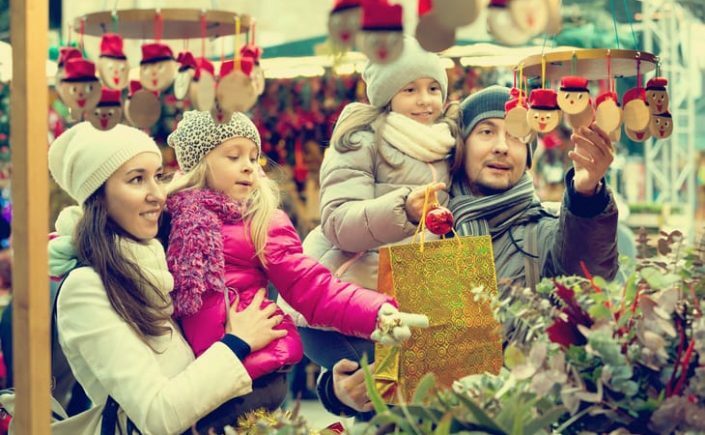 Activities take place all across the city and include dancing, music, ice sculptures, boat races, a snow slide, parades…….. and lots of drinking. Held in March, the Vancouver Playhouse International Wine Festival is a seven day showcase of the wines of the world. It is basically a wine education class under the imposing sails of Vancouver Convention and Exhibition Centre. In 1979, the inaugural festival started as a playhouse fundraiser that featured one vintner. Today the festival attracts some of the popular and biggest industry names from around the world. The wine festival has been established as Canada’s premier wine event and among the oldest, best and biggest wine events in the world. In 1988, it moved to the Vancouver Convention and Exhibition Centre after outgrowing several different venues over the years. The seminars, food pairing and wine tasting are all ticket only. Put on your spurs, don your cowboy hat and head over to the biggest outdoor show on earth. More than one million people travel to Calgary to partake in this stampede held in July every year. Calgary is a city that features cultural diversity combined with good old fashioned hospitality. An hour’s drive out of town will put you in the heart of the Canadian Rockies. This area has some popular destinations such as Banff and Jasper, where a plethora of outdoor adventures await. This is the largest Acadien cultural festival in Canada that lasts for two weeks. Festival Acadien features over 200 dancers, actors, musicians, singers and attracts more than 100,000 visitors. It is held in north eastern New Brunswick with participants from Acadia and other French regions. One of the highlights of the festival is the blessing of the fleet. The event involves a flotilla of fishing boats, decorated with ribbons and flags from their masts and rigging, passing through the harbour. The popular Tintamarre Parade is the culmination of the festival. Being one of the leading film festivals internationally, the Toronto International Film Festival ranked closely with Sundance and Cannes. Films such as The Big Chill, American Beauty and Hotel Rwanda made their premiers at this star-studded prominent event held each September. If you’re considering becoming a festival vendor, simply continue reading to discover whether or not becoming a festival vendor is a feasible option for your business. 1. How much will your stall set you back? Before signing a contact to become a festival vendor, it’s important to consider whether you can realistically make a profit from your stall. Consider how many festival revelers are likely to attend the event and whether or not you’re likely to make a decent profit after factoring in your set up costs, such as the rental fee for your stall. 2. Will there be a demand for your products or services? Think carefully about whether or not there is likely to be a demand for your products or services. As an example, if you plan on setting up a food stall at a music festival, you’re likely to have a queue of customers lining up to purchase your products. 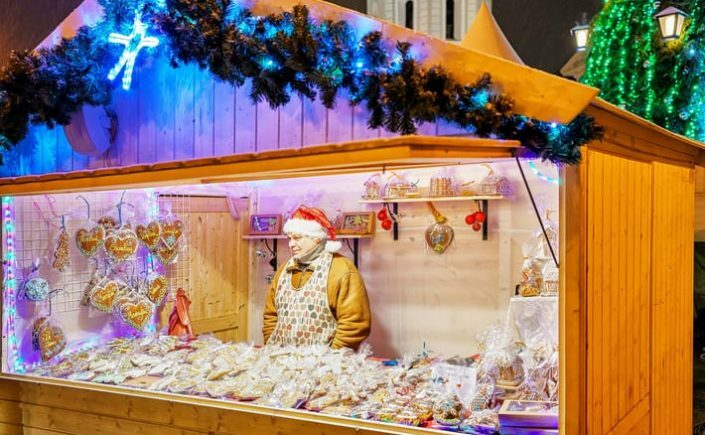 However, it also pays to think about how much competition your stall is likely to have from vendors who plan to sell the same type of good or service. After all if there is likely to be vendors at the festival who are planning to sell similar products at a lower price point, you may want to consider looking for an alternative festival, to set up a stall. If you’re considering selling food or drink, you’ll have to ensure that your stall meets with local health and safety regulations. Many of which will deal with food preparation. Many festivals or cities will also require you to apply for a special food handler permit. Generally, a temporary food handler’s permit allows a vender to sell food at festival for 24-48 hours. If you’re unsure of how to obtain a permit, it’s well worth talking to the festival organizers, who’ll be able to point you in the right direction. 4. Will you be able to man your stall on your own or will you require assistance? It may be well worth recruiting one of staff members, who’ll be able to help you serve you customers in an efficient, timely manner as if potential customers see that there’s a long queue, they may choose to take their business elsewhere. If you’re tempted to hire a temporary staff member, you may want to consider hiring a student, who has retail experience. As students are often looking for casual work. If you still think that you can make a profit as a festival vendor, go ahead and fill out the necessary application forms! 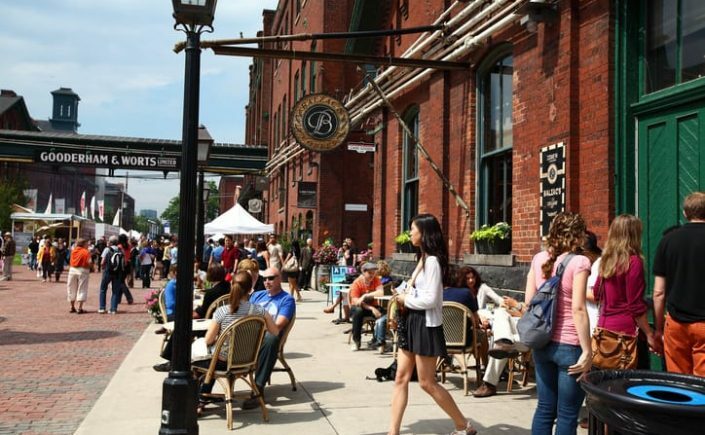 The most famous festivals in Canada are diverse and rich as the Canadians themselves. From all over the world people are coming to Canada. Although each smaller or larger city in Canada has its own minor or major festivals, Canadians organize some of the biggest weeks of the world-famous events, some of which will be found in the following text. The great feast of light in Vancouver is the competition of countries participating in the execution of fireworks accompanied by music and a ten-day festival of culture, entertainment, music, good food, recreation and rest. This festival is each year visited by more than one million guests. The half-hour fireworks over the water are, of course, the most attractive. Honda Celebration of Light, the largest festival in Vancouver and one of the biggest summer festivals in Canada, is held every year in late July. The ten-day festival in July announces itself as “the world’s largest outdoor fun.” The main participants are the best riders in the tournament and participants of the rodeo horse racing, but also the audience who enjoys a number of accompanying events – the parade, music and entertainment spectacles, good food and drinks. A cowboy hat is a must. In more than ten places in Edmonton, a four-day festival of selected performers of folk music from all over the world is held. The festival is organized every year in the second week of August. International Film Festival of Toronto (TIFF) is one of the world’s largest film festivals. It takes place in September and shows a few hundred films from the entire world production, usually with more than one hundred prime ministers.lt is understood that there is the atmosphere of glamour, red carpet and the biggest star of the film. Winter festival in the capital Vinterlud represents the first three weekends of February excitement of fun in the snow and ice offer by which Canada is particularly well known. Stunning ice sculptures, ice skating, competitions, culinary specialties, concerts, promotion of culture and science, are just some of the activities in which visitors can participate. Canada Day, July 1st – Canada, happy birthday! Canada Day is celebrated on July 1st, all across the country and Canadians celebrate it wherever they live. 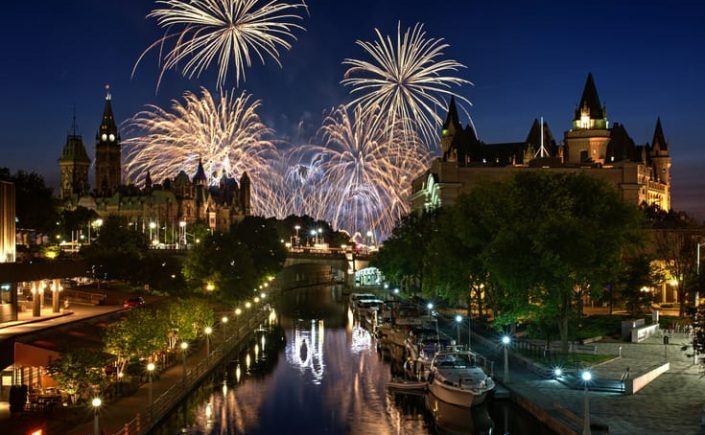 Most popular event is certainly in Ottawa, with rich cultural programs all day in front of the Parliament, in parks, concert halls, with mandatory national colors, symbols and fireworks.